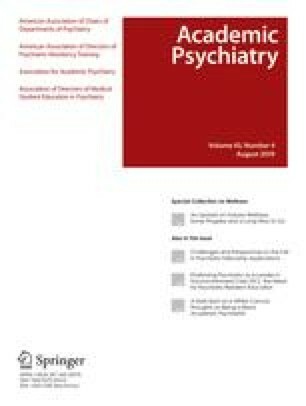 The authors report on a pilot study of the experiences and perceptions of foreign international medical graduate (F-IMG), United States international medical graduate (US-IMG), and United States medical graduate (USMG) psychiatric residents with the newly mandated Clinical Skills Verification (CSV) process. The goal was to identify and suggest remedies to any problems with the implementation of CSV in order to facilitate its success as an evaluation tool with all the three groups of residents. The authors designed a 51-item survey questionnaire to gather demographic data and information about three principal content areas: 1) views on the effectiveness of the program; 2) the assessment experience; and 3) evaluation and feedback. A link to the survey was e-mailed to the directors of nine general-psychiatry residency programs in the United States with a request to forward it to the residents. The data were collected from February 2010 through March 2010. Sixty-three general-psychiatry residents (51.2% of 123 eligible residents) from nine selected programs completed the entire survey. Both IMG and USMG residents felt that the CSV was helpful in improving their clinical skills. Both groups of IMG residents, in contrast to their USMG counterparts, wanted more supervised interviews and were more likely to experience feedback as excessively negative and critical. In comparison to USMGs and US-IMGs, F-IMGs were less comfortable conducting an observed interview. They also had had less exposure to and experience with the CSV processes before their residency. Most residents reported positive experiences with the CSV. The survey also revealed notable commonalities and differences between IMG and USMG residents in their experiences and perceptions of the CSV process, mostly related to their cultural and medical school backgrounds. Authors recommend that residency programs take definitive steps toward addressing the unique needs of these groups of residents.